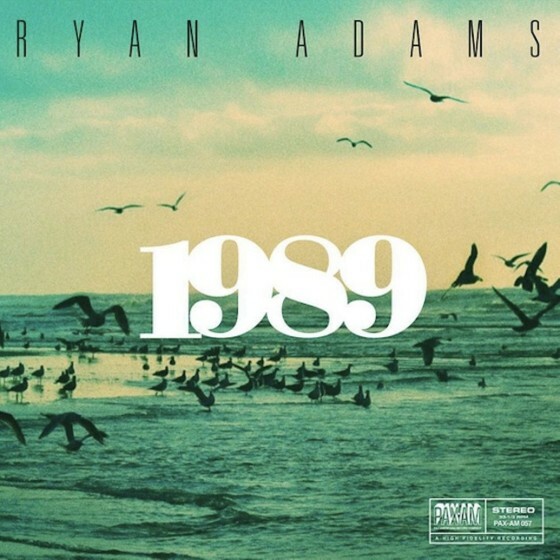 You may question Ryan Adams’ motivation for doing a song-by-song cover album of Taylor Swift’s 1989. Is he honoring Swift by bestowing indie-rock credibility on her sturdy pop compositions? Or is he showing her up by revealing depth and nuance in the songs that get lost in the choreography-cognizant productions of Swift’s versions, perhaps even giving her a master class in lyrical interpretation with his cracked croon outdoing her earnest emoting? What you can’t question about this 1989 is the effort and care that Adams put into conceiving these covers. The knee-jerk reactors out there are probably expecting hushed versions of Swift’s own bombastic tracks, Adams simply taking out a rickety old acoustic guitar and finding the chords along the way. But this is not 1989 unplugged. It is 1989 reimagined, with often startling results. The beginning of the album couldn’t have set up any better for Adams, since you could easily draw comparisons from Swift’s “Welcome To New York” to his own “New York, New York.” The latter song kicked off Adams classic 2001 album Gold and depicted a bruised and battered narrator heading out of the city even while still confessing his fondness for it. Swift’s original glossy take beams with the optimism of a newcomer to the city, but Adams’ aching vocals amidst grinding guitars make the line “It’s been waiting for you” sound like a loaded promise. Adams makes changes both grand and subtle to some of the album’s huge singles. “Blank Space” gets a stripped-down, bereft take, but the more telling move might be Adams’ choice to leave out Swift’s much-quoted line “Darling I’m a nightmare dressed like a daydream.” (It’s the right choice; the punchline quality of it would have broken the spell of his version.) Meanwhile “Shake It Off” gets an “I’m On Fire” redux that renders a line that “That’s what they don’t know,” which on Swift’s single seem like an excuse for another hook, into a personal confession. And Adams changing one of the key lines of “Style” for a Sonic Youth shout-out (“You got that Daydream Nation look in your eye”) is the perfect touch to his thunderously dark take on the song. Not all of Adams’ transformations work. He sounds at a loss about what to do with “Bad Blood,” which needs the combination of sass and hurt that Swift delivers on the song to put it across. And the one-sided earnestness of songs like “All You Had To Do Was Stay” and “I Wish You Would” are tough sells no matter how much vocal integrity he attempts to bring to them. The real showstopper is “Out Of The Woods.” These are the best lyrics on the album, wistful and evocative but leaving an unknown chasm for the listener’s own heartbreaks to fill. Adams provides a slow-building, epic frame for them while his vocal finds every last wound in the tale. Put this and some of the other successful surprises on the album on repeat and you’ll stop wondering why Ryan Adams felt the need to redo 1989. You’ll just be glad he did.